Kill Team from Games Workshop seems to be getting a bit of traction, which is great. I'm really hoping to get a closer look at it in the next week, but for the moment, this Bring Your Own Miniatures project is focused on individual characters, and a few offsiders, rather than being focused on a team. So, I'll take a look at what they're doing, but concentrate my own efforts on something that's more like the old GW Inquisitor game. I know I've discussed the idea before, but there are various schools of thought about character development. I really thought about this long and hard when developing The Law, but in that game I ended up going with an open ended development system where a character could feasibly start physically weak, and end up as a muscle-bound powerhouse. For that game setting it makes sense; characters can be loaded up with cybernetics, genetically engineered, or become augmented in all different ways. For this game setting, I'm not so sure. There are a lot of fiddly rules if I want to cover all the contingencies that might arise in a game like this. It's easy to see how rulebooks for wargames can run into hundreds of pages, especially when there are rule lawyers who look for loopholes in the rules to exploit to their advantage. Everything needs to be worded incredibly carefully if a design is going to follow this methodology. I don't know that I really want this game to completely go in that direction, but it's already started creeping beyond the minimalist aesthetic. The working document is currently over 13000 words, and I haven't even started detailing the background of the world intended to serve as the backdrop for the game, or the various schools of magic and their available spells. More to go. I just hope I don't lose too much motivation on this project before I finish... or suddenly find another twist in my life that totally disrupts the project. I feel like one of those is one the horizon. I don't claim to be a brilliant painter of miniatures. I've won a couple of contests here and there, but I certainly haven't had the available time or resources over the years to dedicate myself to that craft. As I'm putting together the illustrations for this project, I'm choosing an assortment of my figures from lesser known manufacturers, and figures for whom I can't even remember who the manufacturers are. After all, that's one of the main points of the game. I wish I still had that multi-thousand dollar camera for taking these shots. 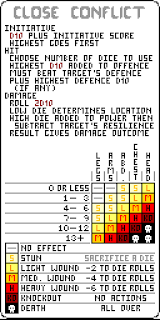 After reworking the rules, it's easier to work through the pixellated layouts. There's still a bit more work to do on these, and when they are compiled into their book, there will be a lot more detail around these pixel images, and a range of supporting play examples. It's actually starting to feel like this project is getting somewhere. Drawing up the rules for this new miniatures game in the form of pixel art is a delicate process, and it really requires knowing how the rules work in advance before the layout can be developed. It's not like writing things up in a word processor where it's easy to delete a letter or even a word, because the pixelisation causes minor changes to instantly cascade, and the programs I'm using don't do things automatically for me. 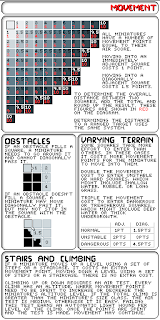 At the moment, I'm looking at producing two or three pixel images for each section of the rules. That means two for character and team generation, two to describe the majority of elements in the play sequence, two for the down-time sequence between games, etc. Over the past week, I've really refined the rules for creating characters and teams to use in the game, and with this solidly in my mind it has meant that I've been able to spend an afternoon and evening redrawing the pixel art. Just when I thought Games Workshop was irredeemable, the last few years have shown some really interesting products released by them. 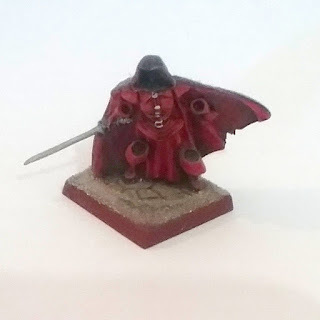 Female figures for various factions, new rumours of plastic Sisters of Battle, Age of Sigmar skirmish rules, a revised Necromunda, and now Warhammer 40k Kill Team. Something I've often found in the games that I've run is a need to balance rigidity and flexibility. Order and chaos. 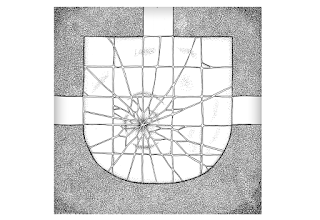 If I'm going to run a game in a clearly defined and highly detailed world, I'll prefer to give the players free rein in that world, letting them set their own goals and agendas while exploring and revealing the unknown. If I'm going to run a game with distinct scenes and elements that follow a specific narrative to their conclusion, I'll tend to give the players more room to describe the setting and the world leading up to that conclusion. A game needs objectives. Players need something to aim towards. Sometimes those objectives are clear and straightforward, sometimes they are convoluted and require a number of steps to be performed along the way. Sometimes the steps (or even the end goal itself) isn't even known at the start of play. The 'Bring Your Own Miniatures' project isn't just a combat game, it's going to be an ongoing set of interconnected scenarios. 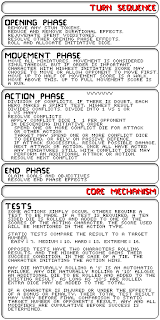 But at the moment it's a combat system without a scenario framework, so that's the next thing I'll be working on. What the hell is "Game Balance"? I've discussed the notion numerous times over the years (such as here, here, here, here, and here). My thoughts generally haven't changed. It's possible to have asymmetric characters and still have fun in a game, but if you're going to do this you need to make sure the unbalanced elements of the game are offset in some way, or maybe make the game about something that isn't impacted by those unbalanced elements. Have a game with an awesome warrior, a street urchin, and a wizard... then make the game about their relationships with the community where they live. Part two of the "Bring Your Own Miniatures" concept is a series of modular maps. I may not have the capacity to produce miniatures, but I can make my own maps, so these will be included as a part of the final game. I've been working on these maps for a while, drawing up the various layers, creating textures, and generally getting the comonents in order so that they can be scanned at A3, then reduced in size to A4/Letter size, giving squares of roughly 25-30mm which is the standard base size for many miniature battlegames. Finally, I've managed to scan a couple of these images and digitally manipulate them into something that approaches the desired end product. More work to go, we're still not done yet. 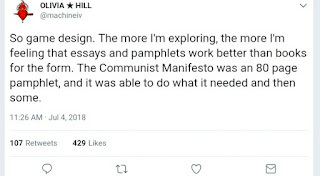 No, this post isn't an attack on Olivia Hill. This is just typical of the crap that has bugged me over the years that I've been trying to design games. This particular tweet has come at me from a few different angles over the last couple of days, with numerous people from different gaming circles claiming how awesome and innovative it is. This is the way I've been writing games for years. I don't claim to be a massive innovator in this field, especially since this has been the essence of storygames for years. If someone with little face value in the community does something, they don't get noticed. If someone who won the population lottery, or someone with social privilege in the community, does the same thing... they're lauded as an innovator and voice of the future, even if dozens of people have been doing the same thing before them. I've just spent today writing abilities for "Bring Your Own Miniatures" and I've realised something. I think I've been writing the game in the exact way that I've said I hate. I think I've been designing by exception, creating a series of little rules to cover specific situations rather than my usual game design paradigm of creating a limited set of large sweeping rules that add complexity where they overlap. But the thing is, when I look at most miniatures rule systems, this is exactly how most of them do it. On the positive side, after discussing the game with some other Aussie designers, I think I've reconciled some of my problems with race and culture for this game. 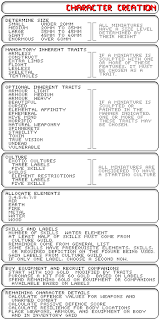 I think it was a great step when D&D took the shift from making non-human races their own separate classes and allowed different races to be like humans and choose what kinds of vocational paths they followed. At the time that AD&D 2nd edition was around, I was playing games like MERP and Rolemaster, where characters with a bit more versatility and uniqueness to their design was encouraged. The newest incarnation of D&D (5th Ed) has races, classes, and backgrounds, which links into ideas I've been using for years in my games where "race" provides physical and biological factors, "culture" provides social context and abilities based on the community in which a character grew up, and "occupation/class/job" provides the specific training that a character has chosen to pursue. This is one of the reasons I feel like both Lamentations of the Flame Princess and Apocalypse World are regressive steps in the hobby. "Lovecraft was a racist"..."but he was just a product of his time"..."but he was overtly racist, even beyond other authors of the era. His stuff is problematic, was problematic, and as long as he is idolised always will be problematic"..."so you're saying he helped fuel the pulp-era's equivalent of the alt-right"..."no, maybe, sort of". Identifying factors for characters can be descriptive or prescriptive. By my definiton here, prescriptive factors are applied to the character before the story occurs, such factors guide the intended actions of the characters, and in some cases a character's actions are even bound and limited by the identifying factor. Descriptive factors manifest as a result of the actions taken, a character who has a tendency to act in a certain way or repeat certain types of activities can be described as possessing traots associated with those acts. As I work further on this project, I realise that I need to properly formalise the rules before I start turning them into further pixel art frames. 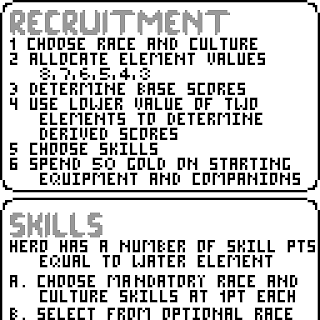 As it stands, I've rewritten game combat rules a half dozen times, and it's like writing for the 200 Word RPG Contest... the pixel art really limits the word count, and I need to find an economy of what is written, but also need the rules to be as clear as possible. The final version of the game will probably now be a booklet, or even a more substantial book, with plenty of photos and example situations, while the pixel art will serve as "cheat sheets" and cut down reminders of how to play while a game is happening. I'm working on the layout of a first draft now. 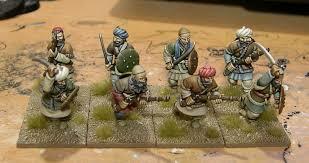 I always thought it would be cool to run a miniatures game where a team of grunt space marines faces off against an entrenched squad of traditional fantasy dwarves, or a platoon of roman legionnaires. Or maybe even a single master assassin from the pages of history confronts a rag-tag gang of post apocalyptic survivors. Yes, you can just substitute miniatures into other games...yes, you can probably ad-hoc some rules to make it work... yes, there are probably a few decent sets of rules that handle this (the Warhammer Historical Battle books come to mind, but they tend to deal with big armies rather than small missions or skirmish level stuff. You could also play out a game of Rifts using miniatures if you're a massive masochist, but that's also not quite what I'm after. So this idea has sat in the back of my head, and scattered across various notebooks, for decades.